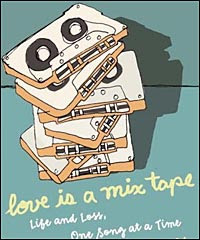 I first became acquainted with Georgian Howard Finster, Baptist preacher turned artist, during my teen years while watching a PBS special dealing with folk artists in Georgia. I loved the undisciplined sincerity of his paintings and sculptures often created with objects from his surroundings, works so opposed to the rules often associated with formal art practices and the confines we are taught regarding artistic merit. Here was a man who captured all the wonderful, but quickly changing, aspects of rural life in Georgia including religion, family, and community life in his own unique way. A trip to the High Museum cemented my love of Howard Finster's art after viewing pieces of his work kept on permanent display. I'm always on the lookout for more Howard Finster sources so the discovery of Howard Finster: Stranger From Another World in the CFL was a welcome find. The book contains a wealth of photos displaying various paintings and sculptures from Howard Finster's entire life. The accompanying text includes Howard Finster's observations concerning his art, religion, and the world as he saw it. Oftentimes art collections are accompanied by a critic's voice describing an artist's intentions and influences, this collection allows the reader to hear Howard Finster describe his work in a way only someone this unique could. An inscription from Howard Finster's painting number "1000 and 48" is appropriately placed before the title page of this collection. The inscription reads, "I am Howard Finster a stranger from another world. My father and my mother, my sisters and brothers, my wife, my children, my grandchildren have really never figured me out for my kingdom is not of this world. Only my father in heaven knows me on this planet and that's why I have been strong and happy. When my work is finished I will go back to my other world." 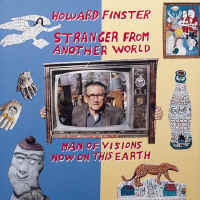 Howard Finster truly was from a world all his own, a world presented fully by Howard Finster: Stranger From Another World. In addition to a number of well researched and representative sites listed below, the CFL contains an excellent collection of books detailing outsider and folk art. Souls Grown Deep: African American Vernacular Art of the South. "The mission of Paradise Gardens is to restore and preserve the work of folk artist Howard Finster; perpetuating his legacy - promoting education in the arts and providing expansive communityinvolvement, and enrichment through its unique spirit, setting, and message." "The DLG houses one of the finest collections of Howard Finster pieces in the world, including concrete, shelf pieces, wood cutouts, paintings and prints."